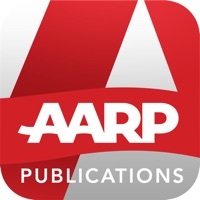 Enjoy the best of AARP’s award-winning publications with our iPad® Publications app. Periodically, this dynamic app allows members access to special edition articles, and combines our top website and magazine content with enhanced, interactive features. Find special edition digital-only issues on Health & Wellness, Beauty & Style, and Money & Retirement. Go deeper into the stories that matter to you with exclusive celebrity videos, audio interviews, samples of new music and books, step-by-step recipes, slideshows, quizzes and more. Share content easily with friends through your favorite social media sites. It’s all available to you whenever you want, wherever you go—through a simple, user-friendly interface designed just for the iPad® AARP members gain full, free access to AARP The Magazine and the AARP Bulletin. Non-members can purchase annual AARP membership. The AARP iPad® app is also a gateway to our other great published products, including eBooks. • Keep up with the latest information that matters most to you and your family. • Personalize your app by adding your favorite subject areas. • Instantly share content with friends via Facebook, Twitter, Pinterest or email. • Go beyond the printed page and stream exclusive videos and music. The app won’t let me log in. It doesn’t like my email address for some reason. If that’s the case, give me the option to enter my membership number instead. Then the app gives me a site to add my card to my Apple wallet, but after I log in and try to add it, nothing happens. Please fix these basic capabilities. Had hoped to access AARP content on my iPad. Two terrible things about this app: 1. It does not include all of the content from the print version of the Bulletin. Honestly, how hard could that be? 2. Every other page is an ad. Not kidding, every other page. Makes for a rotten browsing experience. Deleting app now. Disappointed. Cross word puzzle keep clearing out all answers (NO, I am not hitting the clear button). Very frustrating and so not worth it!! But, then again.... AARP membership isn’t worth anything either! Worth 5 stars when I can share and save. Login issue still not fixed (November 2018). Don’t waste your time. This is not the app for me. I read that they fixed the sign in problem so I thought I’d try the app again. STILL NOT WORKING! I enjoy the magazine and bulletin and always get something from it. App appears to work well. Read an article or two. I read 95% of my books and magazines digitally. I was still reading aarp periodicals physically and scanning articles that I wanted to keep. Well, no more! I can now read and keep articles that interest me on my iPad. Less clutter😊. I subscribe to over 15 digital periodicals and this app is on par with most of the other apps like Condé Nast. I have no complaints and I thank aarp for putting their magazines in Digital form for consumption!! After jumping through numerous hoops, all the App does when I try to log in is sit there and spin the gear. Waste of time. App works fine for me. I use only to read articles. Works for me. I’ve been a permanent member for several years and wanted to access some archive articles on AARP Bulletin. After 8 attempts to log on, I gave up. Totally not ready for prime time. I like AARP, but this makes me seriously doubt their competence. Tried this app on my iPad Air 2 running IOS 11, when I enter my username and password, it shows the spinning progress indicator and won’t go any further. App won’t let me do anything without logging in, so it’s basically useless. Unable to login on my iPad using the same email address and password that I use to login to the website. I cannot log in to the AARP Publications Tablet App on my iPad Pro 9.7 running iOS 11.2.1 - I’ve tried deleting and reinstalling the app, verified that the email and password are correct and tried to log in several days apart — it gets stuck at the login pop up, the progress dial keeps spinning and I have to close it. The same credentials work perfectly when I log in to the AARP Now App on the same iPad and also when I log in to the website so this should have worked seamlessly. I receive the print versions of both AARP Bulletin and magazine which I like to read, but it's not always convenient to carve out the time. Now I can browse through the current or some past issues at my convenience. I downloaded the app quite some time ago. Today I used it for the first time. I was very pleased with it and expect to make it part of my regular reading selection. Nice job. One of the perks for me with having AARP membership has always been their publications. Being able to read them on my iPad is a real treat. Easy to use app and good reads will keep me coming back. Thanks, AARP! The app works fine for reading. I have had no issues so far. I have a 5-year-old iPad that can't be upgraded from iOS 9.3.5. The AARP app doesn't allow me to log on, although the username and password work fine on my computer. Works mostly as one would expect, with swiping sideways moving to new items, down to continue with a longer piece. The multimedia is mostly useful. The limitation come with saving, sharing and book marking. Bookmarking works, but as usual, only when the issue is loaded, which wouldn't be a problem if one could save or share a page. Doesn't work with Instapaper, my preferred software, and one can't post pages or quotes. I.e. It's not designed well for Social Media, or really the 21st century. Rather, it's a fancy magazine that fits on one's iPad, and can't move or be shared. Uses 1.1 Gig of memory. Won't open and locks my iPad. Awful. Does not work on my IPad Air 2 with a current operating system. Should have read the reviews before I installed it. The App has to be updated. Will not open! Worthless. My email plus password works for other AARP sites and apps, but it won't for this one, and AARP doesn't seem to offer support for its apps. Upgrade to iPad Air 2 with IOS 10 and the publication app will not allow my login. The AARP website works fine, just not the publications. Changed password still nothing. The app worked fine on the old IPad. Please fix this. Can't sign in for bulletins and publications. Even changed password. I guess in order to receive this benefit a tree may need to come down. So sad. Can someone help? I am unable to login - I'm using the correct credentials. Please fix!!! This app is useless if I can't login. This app has great graphics and is easy to use. However, I think it frustrating that AARP makes you download so many apps for their various services. For an organization that gears itself to an older community you would think they might make it more concise for the possibly (not implying here - I said possibly) less tech savvy. I love this app for the downloadable magazines. They are easy to navigate. I just tried the CareZone app your last magazine recommended. This app didn't scan one rx bottle, said type in instead. It made you register before you even tried. It's a way for them to get your info and sell it to everyone. I can't believe AARP recommended it. It's the last time I'll use anything recommended by AARP. Too and I can give no stars. Also, I don't appreciate the constant AARP related advertisements mailed to me all the time. Take a break and really help protect us from identify theft by stopping all the mail. It is virtually impossible to use this app, it is ridiculous. It does not work. I read a lot of publications on my iPad and this one is just fine. Slick, easy, did what it was supposed to do. This updated app is not working very well. You either can't download an issue or delete one you got lucky to download. Have emailed the issue on their website and hopefully will get it fixed. It's nice to the have AARP articles so handy, but sometimes the articles seem to progress down and others to the right. There are sometimes points to click on and then can't get back to the original articles. These multiple directions, clicks are distracting from the original articles. While I am on-line a lot reading, sometimes it might be easier to return to a hard copy book or magazine.